Are you relaxed and at ease whenever someone points a camera at you? Most people have at least a few nerves about being infront of a camera, this is perfectly natural. 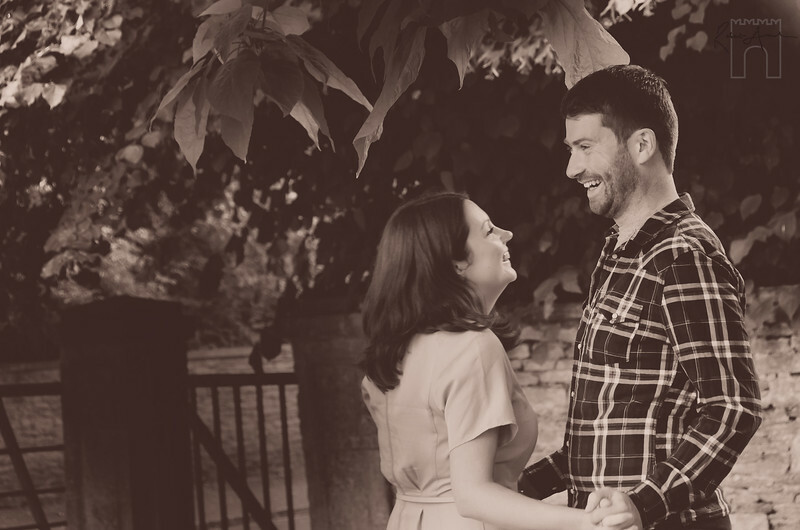 An engagement shoot is the no 1 best ever way to quickly and easily dispel any nerves. 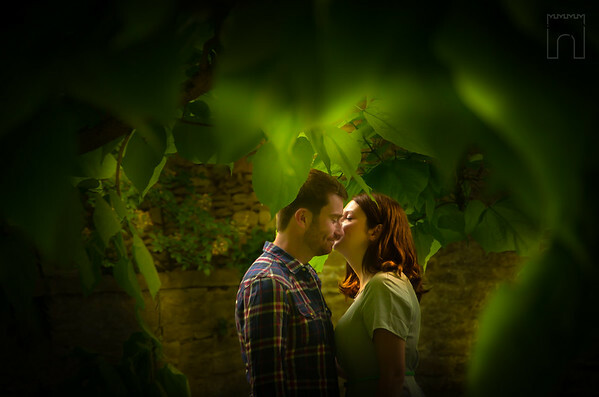 Check out the two photos shot beneath the lush green leaves of a tall tree . The one on the left is 1 minute into the session, before everyone had relaxed and the one on the right is 5 minutes in, by which time everyone was feeling at ease, chilled and had forgotten the camera was even there... so much so that whispering sweet nothings seemed a totally natural thing to do. This image has been a big hit with other photographers on Instagram, perhaps because of the love heart shape I spotted amongst leaves. How nice would it be to have that peace of mind that your photos from your wedding day would turn out looking amazing and reflecting you in just the way you had imagined? ... Have you every thought of an engagement shoot? An engagement shoot is such an excellent way to see if the photographer is a good fit for you . Your photographer could well be present for every minute of your day. Documentary photographers usually only spend a small amount of time posing couple photos, but we are there observing ALL the time. It is so essential that you feel happy and relaxed and that you get on well with the photographer you choose. If you can find a photographer who is similar to you: think clothes,aspirations,parental background, school then you will get someone who will take wedding pictures you will really appreciate for the rest of your life. This is the only way to take photos which look natural, because you naturally feel at ease in each others company. After engagement shoots we all walk away feeling great about working together and actually looking forward to taking photos on the day! ( and if thats not the case then, and this does happen occasionally, then that's fine, there is very little harm done) . people see how great they can look in the engagement photos, they really do relax and actually look forward to the couple photos that they have taken on the day. Communication is the key to getting wedding pictures that truly reflect your wedding. It is so easy to communicate what you like and want more of to your photographer when you have a set of engagement pictures of yourself to talk about. Most people see their imperfections more starkly than photographers do. Nobody has ever mentioned it to me but I'm aware that have a slight double chin - this is so easy to minimise by shooting from slightly above! If you share your perceived flaws with your photographer, it is often very simple to look out for these on the day. The engagement photos have so many potential uses - they are more timeless and simpler than wedding photos and so they have more potential uses. How much more fun is it to attend a concert or a party if you have been really looking forward to it? We get excited by hearing our friends and family build up an event and sharing their excitement. 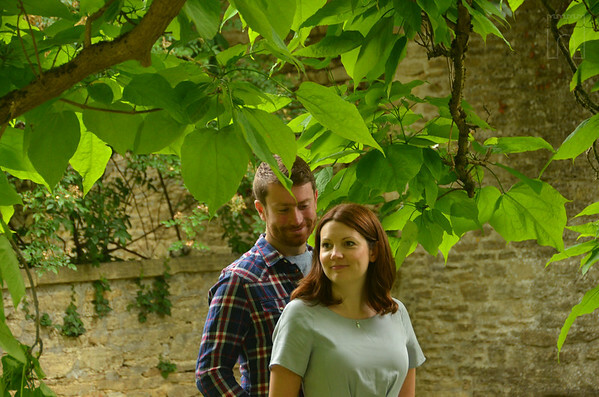 The big benefit of an engagement shoot is that you will have a lovely set of images to share with those close to you . A new social media profile image and a few well -timed engagement images will go down so well on social media and really get your friends in the mood for your wedding. What better to go on a save the date card than a lovely image of you both? Engagement pictures make such perfect gifts. Show your appreciation of all the lovely pressies that you will get by sending a card after your big day - you could use your engagement photos to do this. You might not always be be mad keen to have a photo of yourselves on the mantelpiece - but how much joy could you bring to your parents if they could see an image of you looking happy every day for the rest of their lives. They never throw photos of you away!